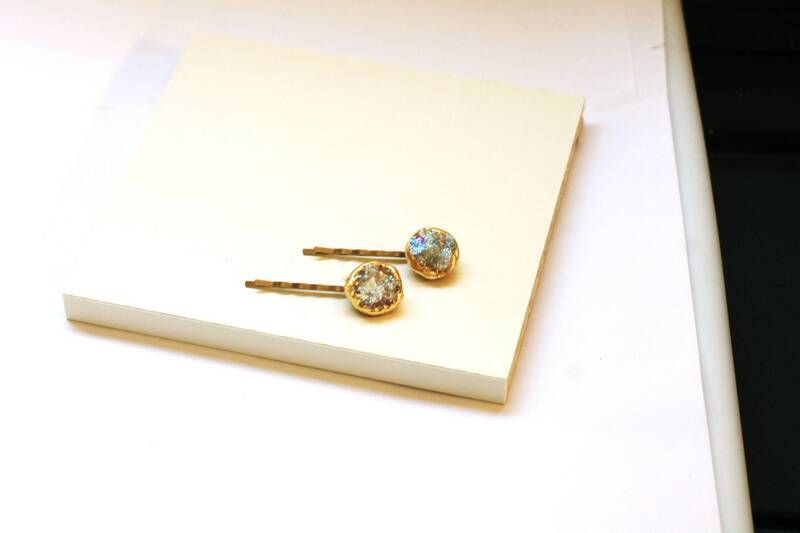 Faux Druzy Crystal Bobby Pins. 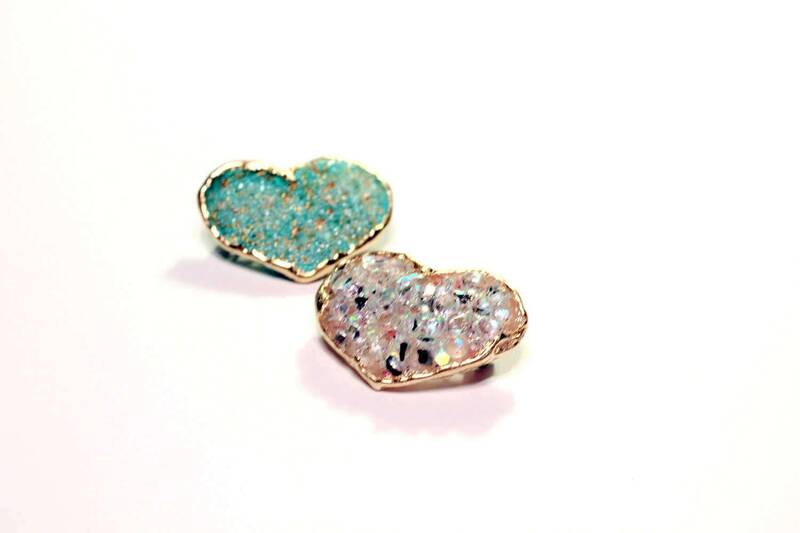 These Pins are Perfect for Long Hair or Short Hair. 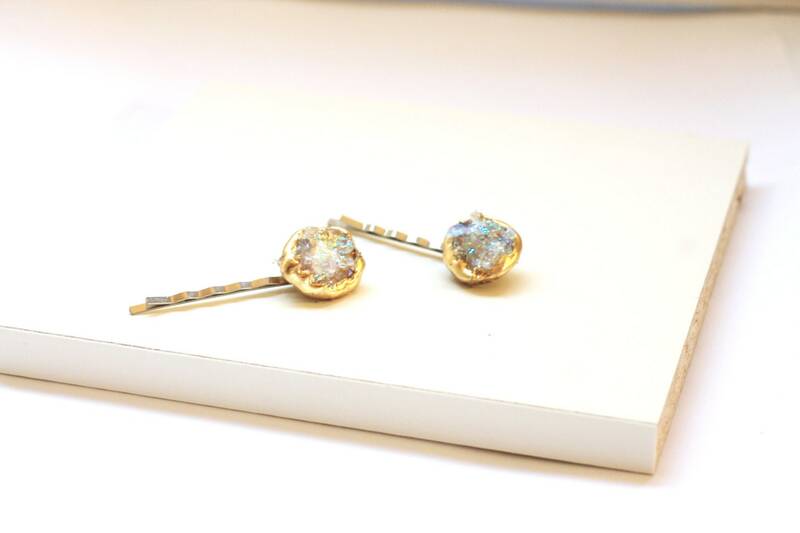 These Bobbies add just a touch of sparkle. 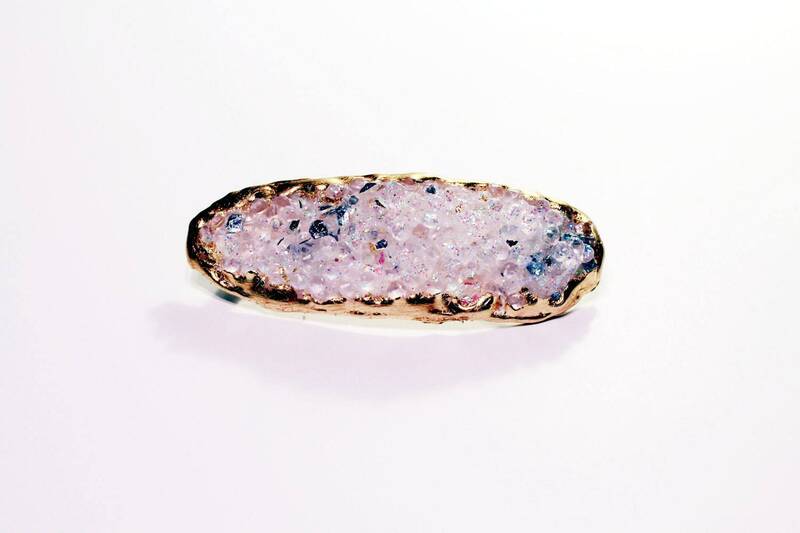 The perfect jeweled accessory for your hair. Look great with a Messy Bun. Pin back side bangs. Add something special on your Wedding Day Hair Style. These clips can be made in any color, just convo me if you prefer a different shade. 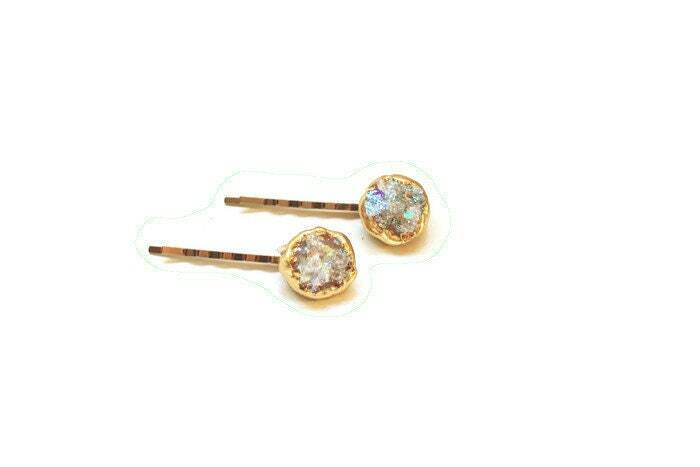 Absolutely beautiful and very durable high quality hair pins. My sister loved them!